Today gives you the opportunity to call at one of the thirty islands that make up the beautiful, untouched Grenadines. 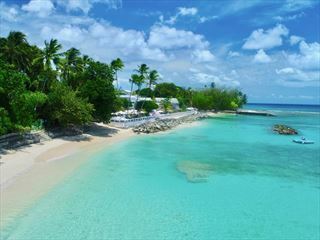 The Royal Clipper will call on one of these islands for a blissful, laid-back beach day. Grenada is the Caribbean’s ‘Spice Island’, a rolling, mountainous island, covered with fragrant spice trees and rare tropical flowers and Bordered by stunning beaches. After touring the old rum distilleries and spice factories and sampled their wares, try some wonderful West Indian Creole cooking. Tobago Cays are four small islets, virtually deserted but enormously appealing for those who love underwater exploration. The area is a national park where snorkelling is superb. There are picnic and camping sites and beautiful protected anchorages for overnight yacht stops. Royal Clipper usually anchors in the lee of Young Island, which lies just off the southern tip of St. Vincent. Young Island is a very small and hilly private island resort with a narrow sandy beach. St. Vincent is just a 10 minutes ferry ride away. The island is ruggedly beautiful with tall peaks blanketed by a lush, tropical rainforest. The natural harbour of Port Elizabeth at Bequia is a meeting point for sailors from all over the world. The exquisite waterfront beckons you for a gentle stroll along the harbour. If you are lucky, you will see turtles and a variety of tropical birds. Martinique is a classic French Caribbean island, wild and mysterious, yet urbane and sophisticated. It is France with a magical tropical twist, with something for almost everyone. You won’t be able to resist the charms of spicy Creole cooking and the tempting boutiques in Fort de France, or to relax on one of the beautiful beaches. Marigot Bay, on the stunning island of St Lucia, is one of the prettiest anchorages in the Caribbean. The bay is surrounded by lush hills and ringed by drooping coconut palms. James Michener described it as the archetype for paradise in the Caribbean. Restaurants surround the bay (Doolittle’s is the most famous) and inland you can visit a banana plantation. The French, who ruled St. Lucia before the English took it over, named our alternate stop, the little Port Town of Soufrière after a nearby volcano. The Royal Clipper arrives back in Barbados in the early morning. 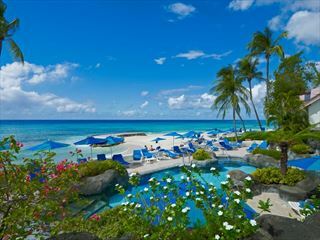 Fly home in the afternoon or extend your stay for a few days in the very British island of Barbados. There is a piano bar where guests can join in and sing a few favourites. Tropical bar for delicious cocktails. Cultural shows come on boart at various ports for authentic local music and art.